As I mentioned in my post about goal-setting for Ironman Lake Tahoe this week, an essential part of my training plan will be incorporating key workouts that are indicative of the IMLT race course. Although the event is still nine months away, I’m chomping at the bit to kick off my formal training, and I already know that I want my peak training week to fall one month prior to IMLT – August 23-24, 2014. Lucky for me, Lake Tahoe is a year-round sporting playground, and there are two big events scheduled for that weekend – Lake Tahoe Open Water Swim and Lake Tahoe Triathlon. Perhaps lucky is not the right adjective for a 2.4 mile swim and an olympic triathlon at elevation that happen to fall in consecutive days, but I have options. I registered for LTOWS and couldn’t be more excited about my first official swim race. I’ve touched on it briefly in previous posts, but swimming is my most neglected leg of the triathlon. Although I put in the time, my stance has always been simple: it’s the shortest leg with the smallest window for finish time improvement; I get more bang for my buck from the bike and run. That said, I love swimming – especially open water swimming in cold water, and am thrilled to swim in Lake Tahoe next year. Swimming at altitude is a different beast and I will need to prepare accordingly for IMLT. Race nerves aside, the lack of oxygen makes it harder to take deep breaths in between strokes, and heart rate spikes as a result. 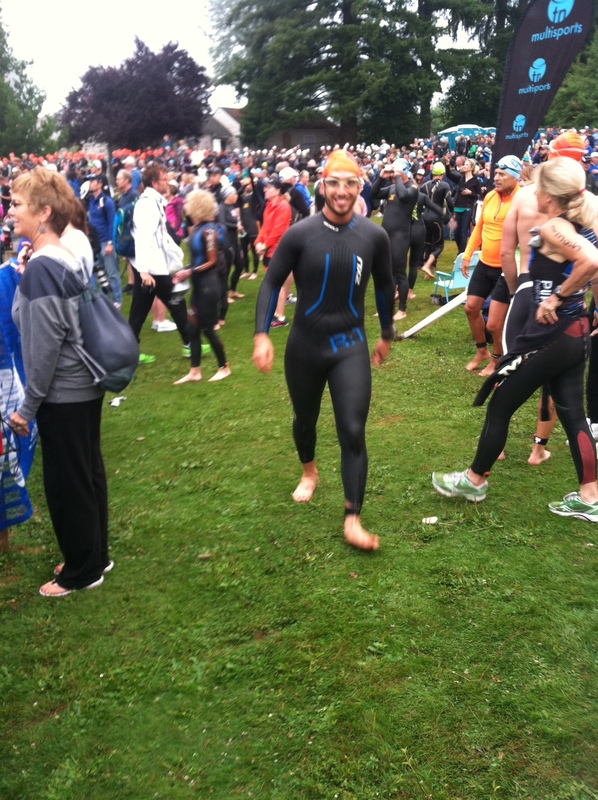 By registering for the LTOWS, I’m looking to prepare myself for the inevitable anxiety of swimming at elevation at an A-race – something that I wasn’t prepared for at Ironman Boulder 70.3 2011. Although it’s too soon to commit to racing the Lake Tahoe Triathlon the day after LTOWS, it would be a great way to round out my training. Realistically, I think I’ll save the registration fee for a couple well-earned beers with Taylor after we log a run on the Tahoe Rim Trail. I have yet to get into tri’s, but I’ve been eyballing them for the future. Good luck! Thanks! You should give them a…tri!